For those of you who enjoy sandbox voxel games like Minecraft, check out Minetest which just had a major update. For those not familiar, Minetest is more than a game. It's a game engine, that has a basic Minecraft-like package and it's highly configurable with all sorts of entire game packs made for it. 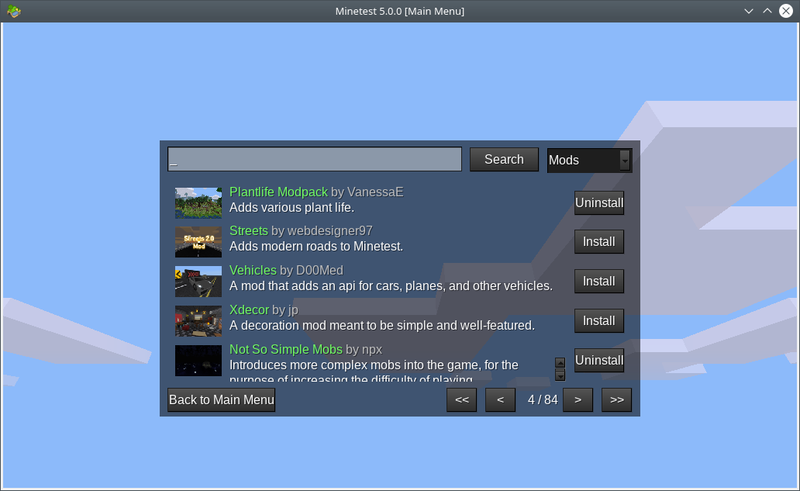 It does need some improvements though, namely mod packs that depend on others don't seem to get installed with them. When testing some out, I had to manually search and install (using the game system above) each one they needed. 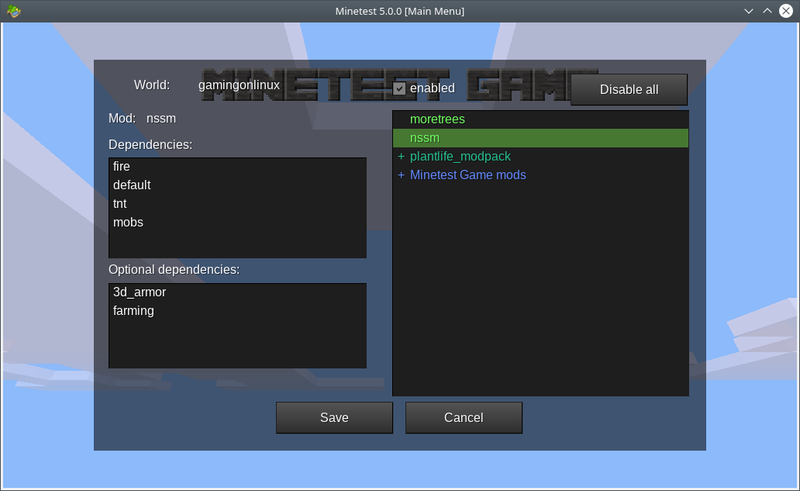 Still, a decent step towards making Minetest a whole lot better. Minetest 5.0 also introduces new modding options, renames "subgame" to "game", has automatic jumping and Carpathian map generation. What's great about Minetest, is that even with quite a few mods installed on my rather low-end Intel notebook the performance was really good. There's quite a lot of settings you can adjust to suit your needs too, good stuff. They have downloads for most kinds of Linux distributions, which you can find here. The performance on Minetest, last time I tried it, was fantastic. The only thing that put me off playing more of it was exactly what they've fixed in this release - getting it from "engine" to "game" was pretty tedious. Now that they're bundling multiple mods under the "game" banner, I can't wait to give it another shot. You're never too old to appreciate a game like this! This is an early gift as I believe 5.0 wasn't due for another two weeks, last I checked. There are some bigger changes that players won't notice such as a new networking implementation. Oh, is the actual 5.0 out already? Last I looked they were still testing the second release candidate. Looking forward to returning to Minetest soon then. Because the game is still in alpha since it is not feature complete and has bugs. This has been confusing me too. Minetest 0.4.17.1 was the version on flathub yesterday, and now today it's been updated to 5.0.0. I assume this means the core has "enough" features at this point, perhaps enough to be able to be a vanilla Minecraft at least? Now what they need to do is figure out mods dependencies/sets, and then show which sets give you as close to a vanilla Minecraft-like experience as possible. MineClone looks to be a vanilla Minecraft game/mod and will support Minetest 5 in the next release. Currently it's not in the online content list. Quote MineClone 2 is a survival sandbox game. Survive, gather, hunt, build, explore, and do much more. This goal of this project is to create a free clone of Minecraft. For an explanation of why Minetest has jumped from the 0.4 series to 5.0, this thread explains the thinking behind the new versioning system. Basically it's a recognition that the core API is stable and has been for some time, and adoption of a more consistent versioning system without the baggage that a "1.0" release (assumption that it's "complete", etc.) generally carries with it. Nezchan For an explanation of why Minetest has jumped from the 0.4 series to 5.0, this thread explains the thinking behind the new versioning system. Hopefully it's feature-rich enough to at least be capable of being a vanilla Minecraft replacement. The core devs might not want to base their versioning around that but that's what most gamers are going to come there for, to see Minetest be at least capable of what vanilla Minecraft is. A few months ago I actually set up a MT server to mess around with. I just created a secondary server with 5.0 along with some mods from the in-game browser and I must say it looks nice. Can't wait to spend some time on it! 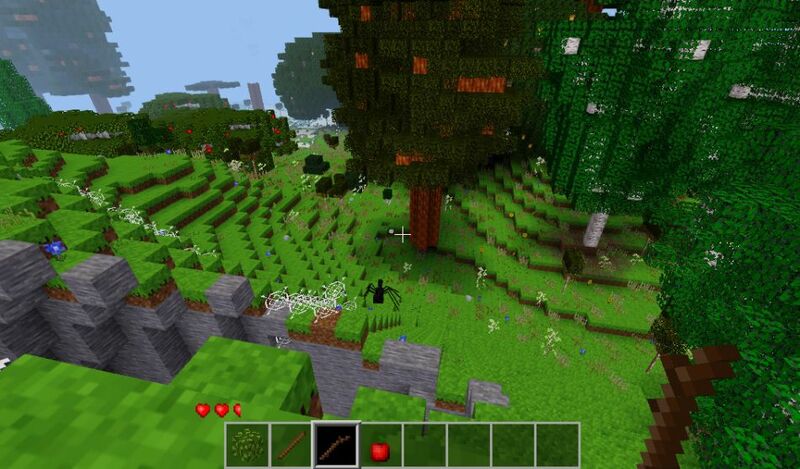 Swiftpaw Hopefully it's feature-rich enough to at least be capable of being a vanilla Minecraft replacement. The core devs might not want to base their versioning around that but that's what most gamers are going to come there for, to see Minetest be at least capable of what vanilla Minecraft is. The Mineclone game/mod Swiftpaw mentions is tantalizingly close to being good enough. If it's the one I'm thinking of, the redstone implementation is laggy (unfortunately I suspect that's inherent to the way Minetest does mods), and friendly mobs spawn at random - rather than there being large areas of pigs, sheep, horses etc., they're all mixed together - but at times, when I tried it a few months ago, I almost forgot I wasn't playing the real thing.